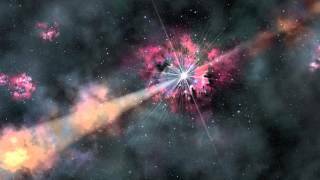 The most intense electromagnetic event known to occur in the heavens is the gamma ray burst. For many years, scientists have claimed that most gamma ray burst occur when stars run out of nuclear fuel then collapse to form a black hole, neutron star or quark star. However, a recently detected gamma ray burst has left astronomers openly baffled. Wal Thornhill weighs in.